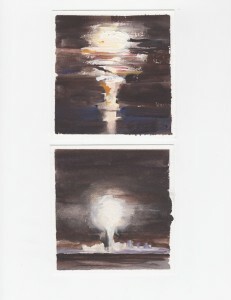 These images are from the series of 228 paintings of US atmospheric nuclear tests exposing the public to radiation from 1945 to 1963. American atmospheric tests ended with a test ban treat. However, some countries did not sign the treaty and continued atmospheric tests until 1980, after which time all tests have been underground up to the present. The painting just below is based on a radiograph of the first nuclear test at Alamogordo, NM in July 1945 preceding the bombings of Hiroshima and Nagasaki the following month. 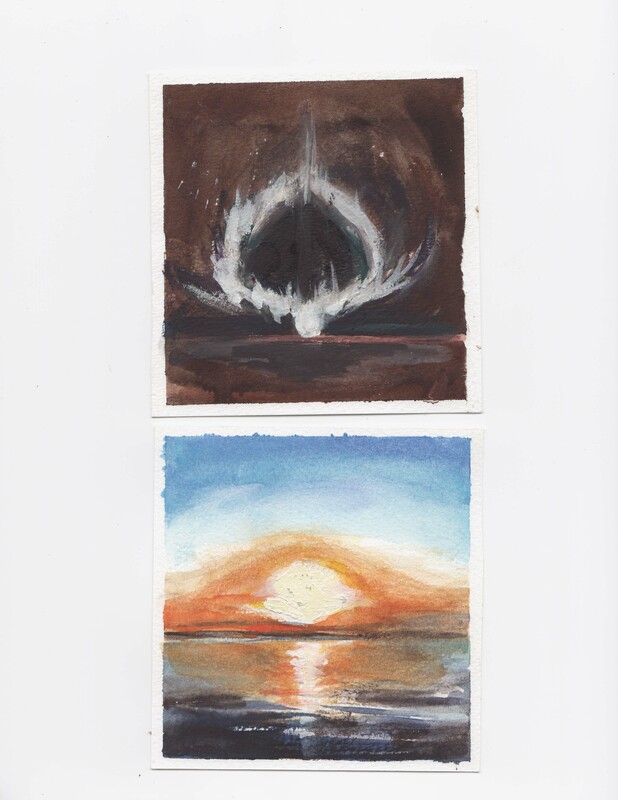 These paintings are part of work on an article about our exposures to ionizing radiation in the nuclear age as seen from the upper and middle Rio Grande watershed. 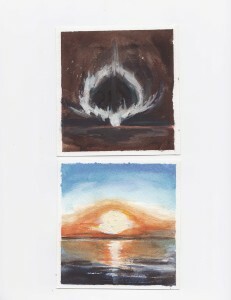 This entry was posted in Paintings, Writings on June 30, 2013 by Diana Hartel.